Clement Street in San Francisco is known for it's rows of restaurants, asian grocery stores and the Green Apple Bookstores. What most people don't know is that the unassuming first 2 blocks of Clement between Arguello and 2nd Avenue, has a charm all it's own. I've lived in the Richmond District for the past 6 years and I've seen these 2 blocks change a lot. The store that's probably been here the longest is Period George. This store has lot of gorgeous antique dinnerware. I have a weakness for tea cups and bowls, so every time I come here I always come out drooling or wishing I can spend my entire day looking over every single thing they have. 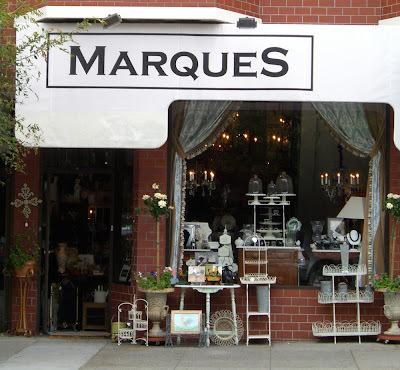 One of the newer stores is Marques. They also sell a lot of antique dinnerware, in addition they stock some french soaps, lighting, mirrors, jewelry and lots of other stuff. Love, love, love this store. Fleur*t is a flower shop slash furnishings store. 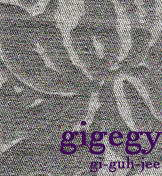 Not only do they have the variety of flowers that I love, they also sell lots of lovely gift items and home decor. According to their website, their client list includes Marc Jacobs and The Huntington Hotel. Impressive. Another new store, which I think opened not even a year ago is Peche Mignon. This store has a lot of beautiful linen, ceramics, and soaps. They even have a wedding registry! The last store that I will feature is called Kumquat (like the fruit). This store has a more colorful and playful atmosphere. I saw a lot of bags, kids toys, and unusual gifts. They feature new and local artists. My ultimate dream is to open my own store, whether online or brick and mortar so that I can sell items that I love and also items that I make. These stores inspire me and remind me that it is possible! Hi Giselle. I grew up on 6th and Balboa. Besides Golden Gate Park, Clement Street was my playground. I loved it there. Much more of a melting pot than it is now...Italian, Russian, and Arab businesses. I was at my good buddie's house on 2nd and Geary the day that Sutro's Baths burned down. We watched as the firetrucks careened down Geary. I remember how all of the sidewalks were covered in soot, from the beach all the way up to Arguello.